If you want to improve batting, then you need to do batting practice. If you have a baseball batting cage in your backyard, then you can improve your hitting skills. For that, you’ll need two things. You may already have a pitching machine, and in case, if you don’t have, then you should read the article about baseball pitching machines, where you’ll get to know each and everything about pitching machines. So, now, let’s move to the batting cages. Before purchasing any batting cage, make sure to check the dimensions of it. The material is also a very important thing that you should check. I highly recommend you read the whole article, but if you are short on time, then the next section is for you. How to Install a Batting Cage in the Backyard? How to attach your net to the frame? How to attach your hanging loops to the crossbars? How much baseball batting cages cost? How to take care of your baseball batting cage? Can you store your batting cage for the next season? If I have to recommend only one baseball batting cage, then I’ll go with HEATER Baseball Batting Cage. I am recommending this cage because generally we use pitching machine for the baseball pitching in the batting cage. And, in the HEATER Batting Cage, they have created a special opening where you can place your pitching machine. This is a good feature because it also protects the machine from getting damaged by the hits. Along with the net, you’ll also get the frame as per the size of the cage. So that, it becomes very easy to assemble it. In the end, it’ll be your choice which batting cage you want to purchase. But, before purchasing, at least take a look at this cage. Poly is cheaper than nylon but is less durable compared to the latter. So, it is preferable to have a nylon net for your batting cage even though it costs a bit high. Having a batting cage that can be ported easily from location to location is an option to consider as compared to one that is not. Which is why the poles should be lightweight and durable enough so they endure everything that we throw at them. The pole materials are mostly steel so that they do not get corroded easily. The size normally varies from 1-5/8” in total diameter to resist any and all kinds of damage. They are designed such that the cage remains stable and upright. Having a proper batting cage also comes with a requirement that it should be of proper size. It should be something that can be installed right in your backyard or in any nearby space at your home. Normally, the cage size length comes at around 55 to 70 feet. There are those who prefer to have custom nets as well, but they would be a bit heavy on the pocket. Depending upon the cage size and the area where you need to spread out for, an actual instance like for 55-foot batting cage, you should have an area of close 57-foot should suffice. Purchasing a batting cage from a trusted brand would always ensure you a 100% warranty for the services that you are availing from. 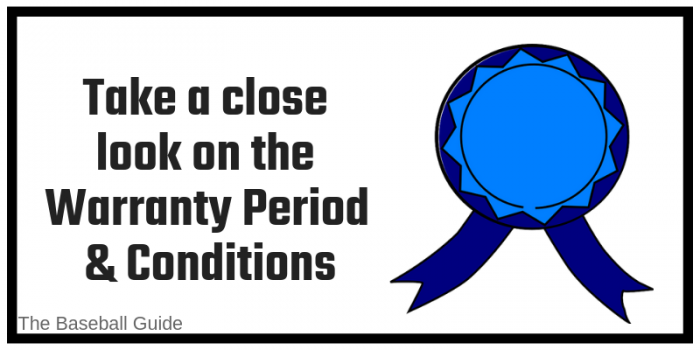 The warranty normally covers the nets which might be subjected to conditions, but it doesn’t cover some of the other conditions. Improper usage, and so on and so forth. The customer should have a warranty card with his/her possession while availing the replacements for the cages. Depending upon your requirements it is always prudent to have a batting cage that is and then break it down while packing. If you are taking part in tournaments then you need to have a portable option in mind. On the contrary, if you want it for usage at your home or backyard, then having a sturdier construction is preferable. It is not advisable to keep it stationary at one location for longer periods of time. The best practice is to maybe keep it there for a month or so at best. An outdoor batting cage would mostly cost you from $1800 to $7000 since it involves so many additional features to protect it from harsh environments. But if you want to have an option for a good batting cage then you would need to shell out more than $200 which will come with all that you desire. The FORTRESS batting Cage provides an excellent solution for building your own batting cage inside your home or in the backyard, the durable netting is up to the task. 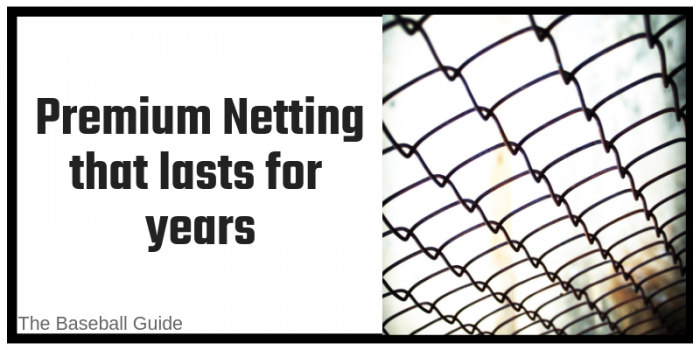 Heavy duty net from Net World Sports product is one-piece cage net only and doesn’t include poles. It comes with a professional black color, the batting cage nets come in one piece with 3 sides and a roof which are all sewn together. Batting Cage Net includes tie cords which are built in an additional central roof salvage. It is a fully enclosed, one piece cage net with roof and sides which are all seamed together. The squares are small enough so that the baseball can’t easily pass through them. It is heavy duty 3/8” overlocked border rope on all edges. The net is ultra strong as it is made from UV stabilized and rots proof #42 strength Poly twine. The knotted twine will ensure that the FORTRESS net is extremely strong, whilst the vertical and horizontal edges which have heavy-duty over lock edging for higher durability. The machine is knotted 1 3 / 4” square mesh netting. It has reinforced one-piece net which is fully enclosed and one piece cage net with roof and the sides are all seamed. This product is easy to hang. It includes ultra-strong tie cord rope on 4 corners and down the middle for hanging and tensioning the net. (Poles and posts are not included). It is available in different sizes from x8’ x20’ to 12’x 14’ x 70’. It is an affordable batting cage. Poles and Posts are not included. It can be concluded that Heavy Duty Net from Net World Sports is one of the most affordable and durable batting cages. Providing the best material at an affordable price has made this cage one of the most popular batting cage in the USA. But, you will have to buy poles and posts separately. HEATER SPORTS PowerAlley baseball and softball batting cage net and solid fiberglass frame comes with built-in pitching machine harness for safety. It comes with 1-inch Polyethylene Netting. It is made from a strong Nylon Netting. It has steel ground stakes and nylon roping. It is 22 feet long x 12 feet wide x 8 feet tall which is perfect batting cage for any sized yards and can be used by the players from 4 to adult. Poles are also provided. It will help in increasing your reaction time as the cage is 22 Feet, a ball Pitched at 50 MPH at 46 Feet will be simulated as 204 MPH pitch. It can easily be set and can easily be taken down. The fiberglass rods and light-weight netting allow the PowerAlley to be one of the easiest and conventional batting cage. It is a lightweight portable batting cage. It has fiberglass poles which assemble quickly and has 1-inch Polyethylene netting. It has a built-in harness which easily gets connects easily to pitching machine. The quality of the net is good but the poles which are provided along with it are of low quality. Though, this is a good deal for the perfect price. The Fortress ultimate baseball cage is considered to be 10ft wide and 9ft high and have 4 different lengths such as 20ft, 35ft, 55ft, and 70ft. The 20ft option comes with 4 poles, 30 ft with 6 poles, 55 ft with 8 poles and the 70ft option comes with 10 poles respectively. The cage comes with different lengths and a different amount of poles with each size. This cage is rot and weatherproof, and it is also UV treated. It has Power coated steel posts. The 40mm ultra durable power coated steel uprights will ensure you to have a lightweight yet sturdy base for the batting cage. PVC coated steel guy for proper stability. You’ll get a one-piece, 2mm net that is roof-pre-sewn, and it also offers fantastic durability. This cage is enclosed for health and safety issues. You can easily lift up the net and enter. It comes with 5 years warranty for net and 1-year warranty for poles. Though, it is on the costlier side. It can be considered that this baseball batting cage has Power coated steel posts. It is enclosed for health and safety issues. This baseball cage id UV treated weatherproof and rot proof. Though, this baseball batting cage will cost you extra money. But, it comes with 5-year net warranty and 1-year pole warranty. BCI Commercial Quality Batting cage is a #42 square hung cage which is incorporated with knotted high-density polyethylene netting. It comes with opening doors. It has heavy duty rope borders on all corners and comes with entry door. It is UV Protected. The UV protection is forced out into the fibers. It does not absorb water so can be become an excellent choice for outdoor applications. It comes with center rib lines. There is no opening for pitching machine so you have to put the machine inside the cage. You might require a screen to protect the machine. It is available in different sizes but frame poles are not included. It is easy to install and comes with excellent quality. Having all those qualities, this batting baseball cage is expensive. It can be concluded that this batting cage has high-density polyethylene netting and is available in different sizes. The frame poles are not included. Though, this batting cage has excellent quality and easy to install. It comes with an entry door. Having all those qualities this baseball batting cage will cost you a little bit extra. It can be concluded that this baseball batting cage can be a great choice if you have a high budget. But, the product you will get is worth the price. This batting cage is a light-weight cage which you can easily set up and take down in minutes. It is made up of durable material which is 16mm high-strength steel pipes which makes it safer and reliant. It can suit almost anywhere. Galileo Heavy Duty Net is 22X12X10FT OR 16X10X10FT which can be perfect batting cage for any sized yard and can be used by players from 4 to Adult. It is easier to install and is very easy to assemble. It can be the perfect gift for your loved ones who enjoy baseball as it is affordable. The product is worth the price. This baseball batting cage is easy to install, affordable lightweight and durable. So, this baseball batting cage can be perfect to gift to your loved ones who love to play baseball. Installing a batting cage in the backyard doesn’t take a lot of time. Follow these step by step instructions. Check the contents to make sure you have all the required parts. Dig holes and secure the 3’ sleeves into the ground. Use concrete to secure 3’ sleeves into the ground. End Sections: You should now insert a short hanging loop assembly in into each part of the prior drilled crossbar holes and attach or secure all with cable clamps. Middle Sections: Now, you should insert a small hanging-loop assembly inside each of the middle pre-drilled crossbar holes and attach or with safety attach it with cable camps. Now slide the middle 18’ crossbars into uprights and then fit into the sleeves. Slide the end 14’ crossbars into the uprights and now fit them into sleeves. Now you can attach your netting to the frame. Lay your net out under the sections of the frame. Stretch the net completely from one end to the other. Now pick up the net by the nylon rope. After picking up the net, https://home.howstuffworks.com/home-improvement/how-to-build/how-to-build-batting-cage-frame.htm sections with the hanging loop assemblies. After hanging the net on the middle frame sections, you should force on the ropes towards the end frames for stretching it. Do not sag more than 1-2”. Now, you should attach each rope to the end frame sections with the corresponding hanging-loop assemblies. After attaching the rope, walk completely around the net and then pull which will help the net stretch to shape. The net will concentrate inside the box and will need some help getting back into shape. At each and every pre-drilled hole on the crossbar thread out the cable with your other hand while holding the hanging loop assembly from one hand. Now wrap the cable around the crossbar and then thread it back down into the cable clamp. After wrapping, slide the cable clamp up on the cable and tighten it and remember to leave one inch of cable hanging below. With all these step by step methods, you can easily install any hitting cage. 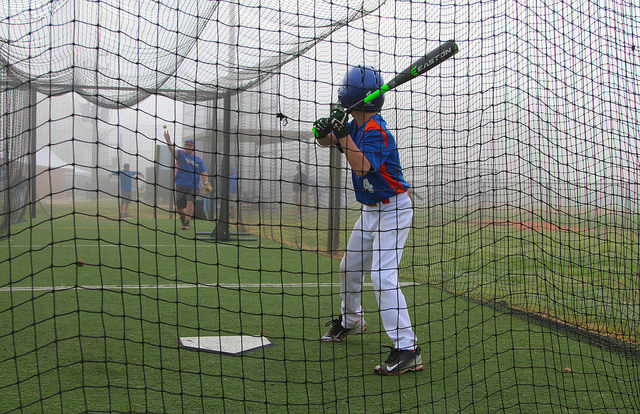 A common training tool used for baseball training is a batting cage. A baseball batting cage can be purchased and used by anyone having knowledge of baseball. But, the biggest question arises is how much do these batting cages cost? With several places to look at batting cage options, the question is difficult to answer. There are a lot of various batting cage net options, pole options, and accessories (which can be added on). 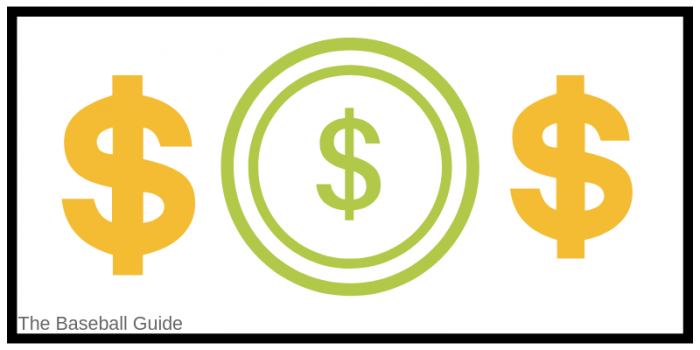 Batting cage can cost you anywhere from $25-$10,000. But, the quality will be as per the price you can buy. You can buy any baseball batting cage depending on your needs. Taking care of your batting cage is really easy. After buying a baseball batting cage you should properly take care of the nets and the poles which are attached to it. You should properly set up as per the instructions mentioned. When not in use you should carefully remove it and properly store in the preferred circumstances. Yes, you can store your batting cage for the next season. You should properly store all the equipment included in it. You should properly and securely store the nets and poles under proper circumstances. If you won’t store the cage properly and effectively, there’s a chance that the practicing cage can get damage. So, make sure to store it in a safe place. A batting cage is an enclosed area for baseball. It is used to practice the skill of batting. You can improve your skills while playing practicing inside the cage. 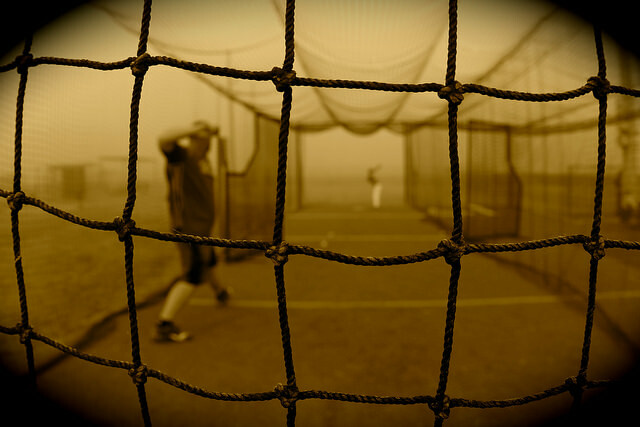 You should consider various things before buying the perfect baseball cage in order to practice. The things you should consider before buying can include the material, durability, size, and portability of the batting cage. You should consider buying quality material in order to make it last longer. Thus, you should carefully examine all your needs before buying the perfect and affordable batting cage for your needs. After buying, you should handle all the equipment and the accessories with care. As the better you will handle the cage, the more it will last longer depending on the material you have purchased. So, properly analyze before taking a decision to buy the cage to practice in.